The Michigan Democratic Party has completed its proposed Delegate Selection Plan for the 2016 Democratic National Convention. The plan will be available for review for a thirty day public comment period on the MDP website at michigandems.com/delegateselection beginning today, March 26, 2015. After the comment period expires, the Plan will be submitted to the Michigan Democratic State Central Committee for final approval and further action with the Democratic National Committee's Rules and Bylaws Committee. The Plan provides that Michigan will have a total of 152 delegates and 11 alternates, to be selected proportionately, based on the results of a government-run primary. This "first determining step" in the Michigan delegate selection process will occur on Tuesday, March 8th, 2016, to be held in conjunction with the Michigan GOP Presidential Primary. Further information can be found in the Plan itself. If there are any questions, comments or criticisms about the Plan, you may contact the Michigan Democratic Party. The public comment period is standard operating procedure in the context of the Democratic nomination process. 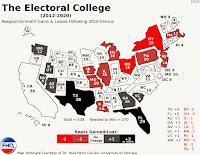 National party rules require state parties to draft these delegate selection plans, open them for a period for public comment and then submit the plans to the DNC/Rules and Bylaws Committee for approval usually by early May of the year preceding a presidential election (May 4, 2015 for this cycle). More importantly, layered into both plan and Johnson press release that Michigan Democrats plan on opting into the presidential primary in lieu of caucusing in 2016. Michigan Democrats have had an on-again, off-again relationship with the presidential primary in the Great Lakes state over the years. 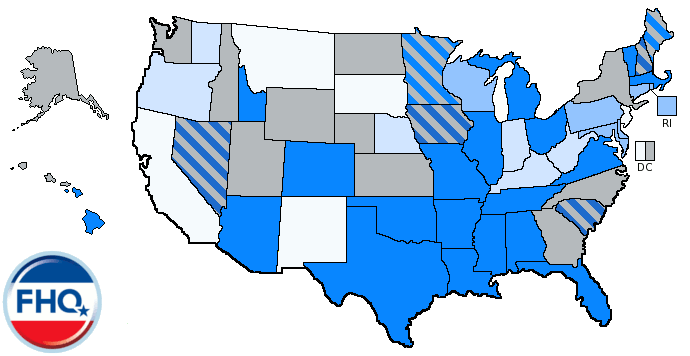 The party caucused in 2012, but attempted to use the primary in 2008 (though that non-compliant January primary famously led to penalties from the DNC that cycle). Michigan Democrats, then, seem to be headed for a March 8 presidential primary pending approval by the Michigan Democratic Party State Central Committee. Michigan Democrats have had an on-again, off-again relationship with the presidential primary in the Great Lakes state over the years. Eh, not really. This is actually a break from most of the recent cycles. The last legitimate Democratic primary in Michigan was in 1992. 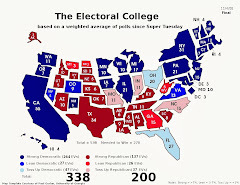 In 1996 there was a caucus to formally confirm Clinton; in 2000 and 2004 we had Saturday party-run affairs; and 2012 was much like 1996 with a Saturday caucus to ratify Obama's renomination. 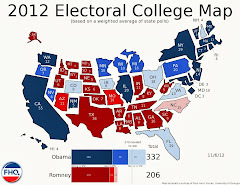 In that context, the 2008 clusterf**k can be seen as a one-time attempt to gain Michigan influence. (An attempt, of course, which failed in spectacular fashion.) The original MDP plan for 2008 was to have a caucus on the Saturday after Super Tuesday - a move which, in hindsight, would've given Michigan all the influence it could ever ask for, and then some. 1992 was the last primary/caucus season in which Mark Brewer wasn't at the helm of the MDP; he served from 1995 to 2013 (with one interruption). *Not that he was wrong, of course, but silencing your state's voice in a nominating process is not the way to do that.